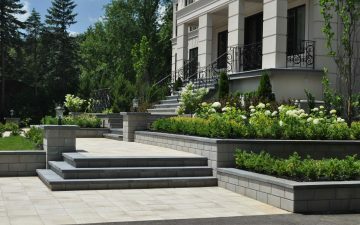 Creating the unity of the house and landscape architecture was the most important task for this front entrance project. 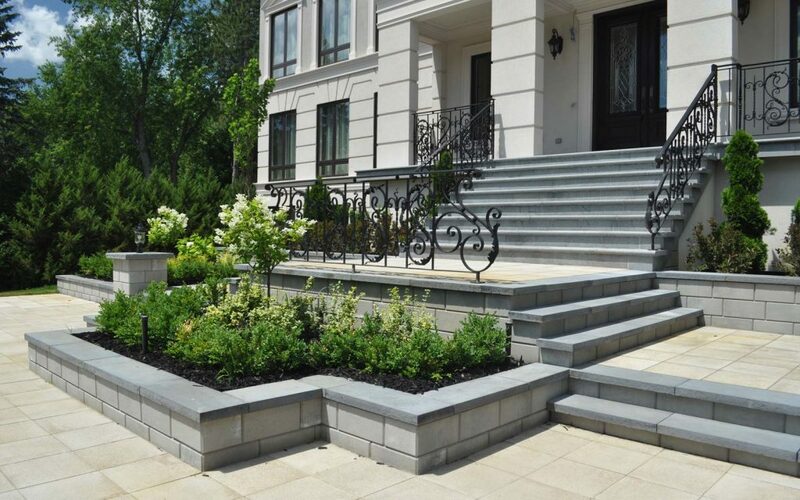 Bold, lean and dramatic front yard interlock. 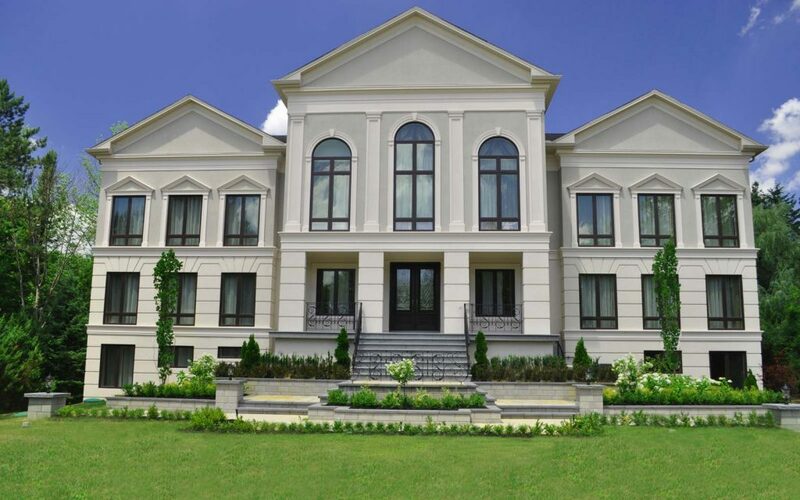 Minimalistic but not boring. Simple shapes, symmetry and straight lines as well as stone and plants textures create a very strong and opened look of the front entrance, reinforcing modern classic architecture of the building. Existing elevations was used to create stone terraces with planting. 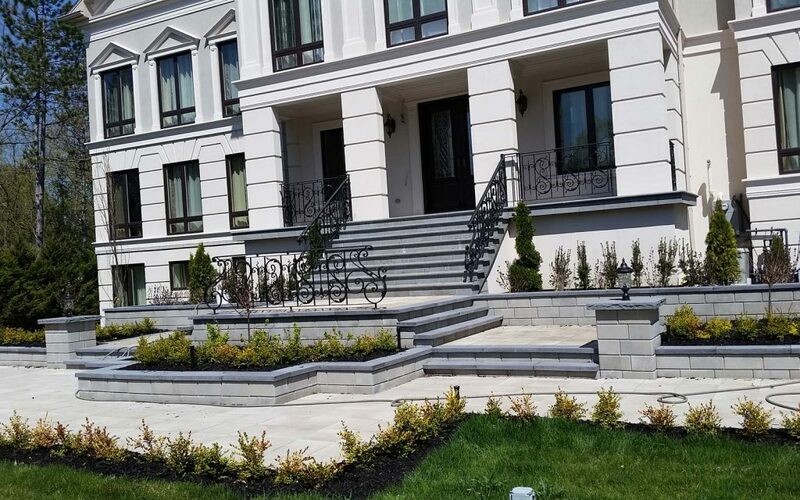 Commodious steps and landings gradually ascend to the height of the porch; and there is a wrought iron beautiful custom railing to give it a character. 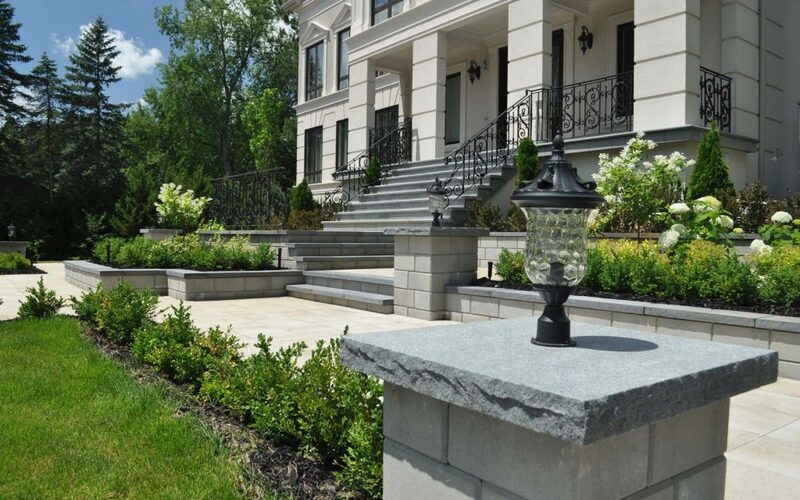 Garden walls’ smooth texture of the stone was combined with sharp edges of copping, offer a contemporary feel. 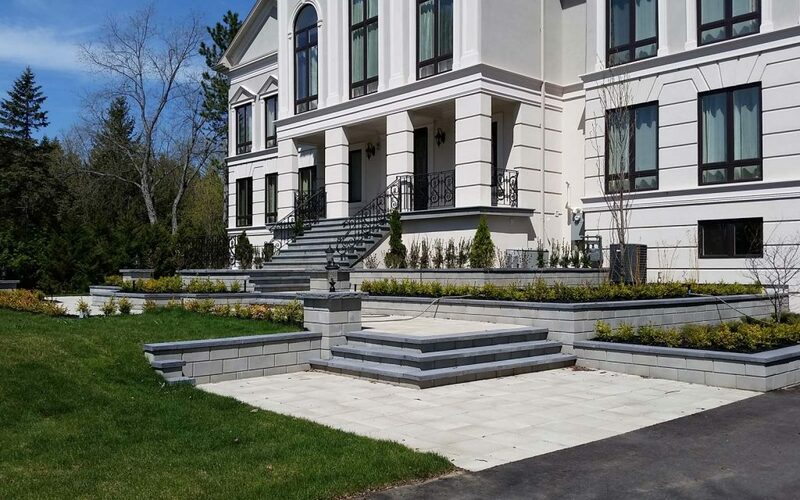 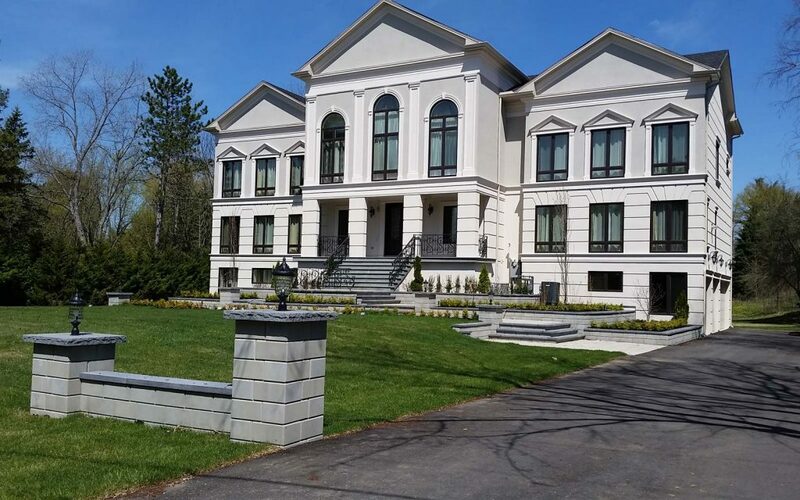 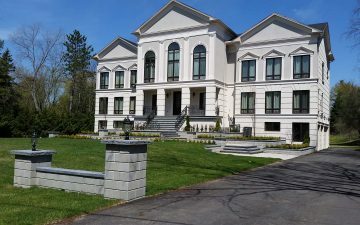 The stone unit’s linear pattern provides a rich, prestigious look, while the neutral, monochromatic tones coordinate perfectly with architecture of the house. 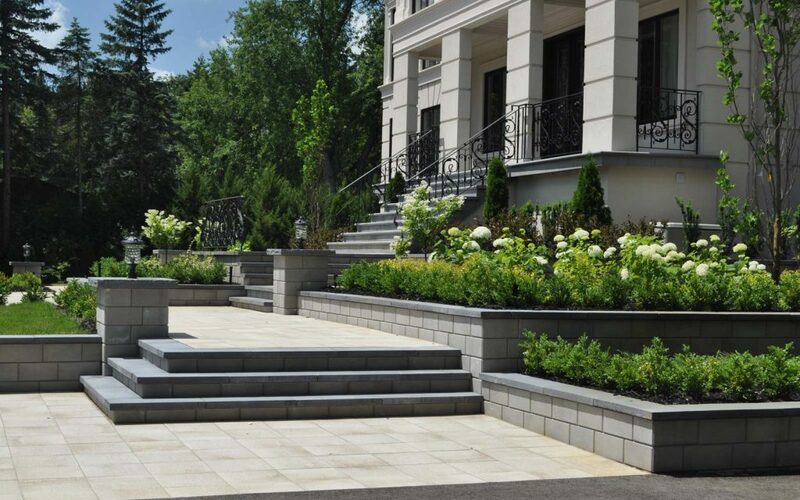 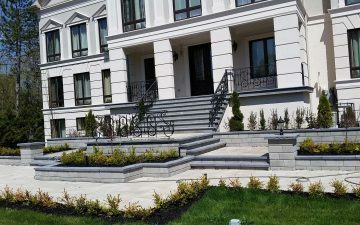 Terraces, retaining walls, planters together with formal planting create great first impression of the house. 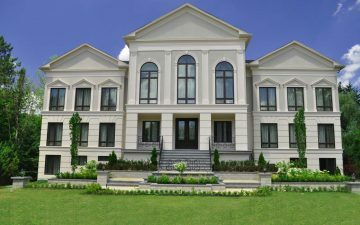 Improving the curb appeal of the property through professionally designed and build landscaping is one of the most effective ways to boost the value of your property.